Back cover blurb: When a young man wakes up bruised, beaten and with no memory of who he is or where he came from, the press immediately dub him 'The Lost Man'. Ten months later, Richard Kite - if that is even his real name - remains as desperate as ever. Despite appeals and the efforts of the police, no one knows this man. Kite's last hope may be private investigator David Raker - a seasoned locator of missing people. But Raker has more questions than answers. Who is Richard Kite? Why does no one know him? And what links him to the body of a woman found beside a London railway line two years ago? 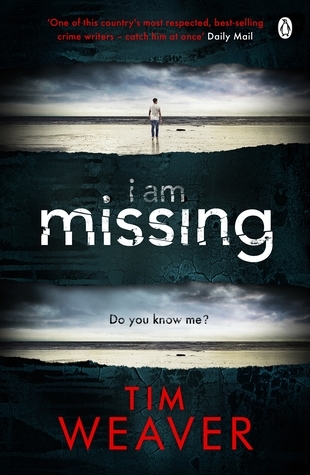 I Am Missing is the outstanding new novel from Sunday Times bestselling author Tim Weaver. 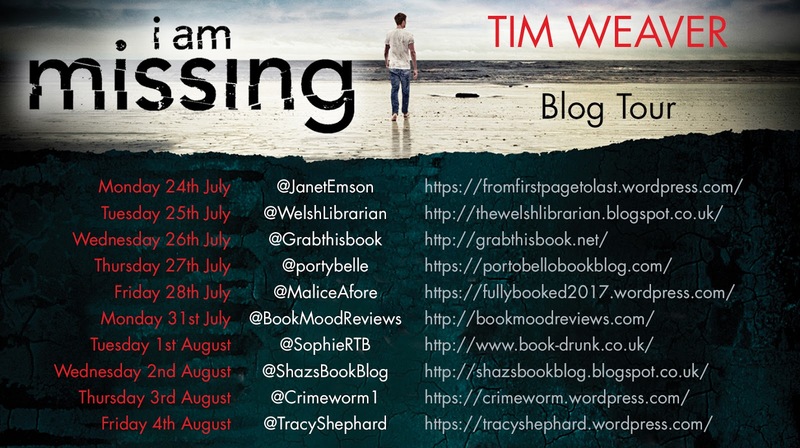 i am missing is the first Tim Weaver novel that I've had the pleasure of reading (yes I know, naughty me!!) but I will certainly be reading more. When Richard Kite enlists the help of private investigator David Raker, it is with the hope that he might go some way to helping Richard remember who he is. Ten months earlier Richard had woken up bruised, beaten and unable to remember who he was or how he got where he was found. After months of therapy and no returning memory, Richard is desperate and certain David can help him. David isn't so sure. His work usually sees him looking for people who are still actually missing. Richard is definitely not missing anymore, but his memory is. What David can't get his head around is why no one has come forward to say that they know Richard. Surely someone somewhere must be missing him?! And then there's the professional help that Richard's getting, they claim to be an expert in their field, yet have gotten nowhere with him. i am missing is a complex tale of murder, betrayal and what happens when you try to keep secrets to protect those that you love or admire.